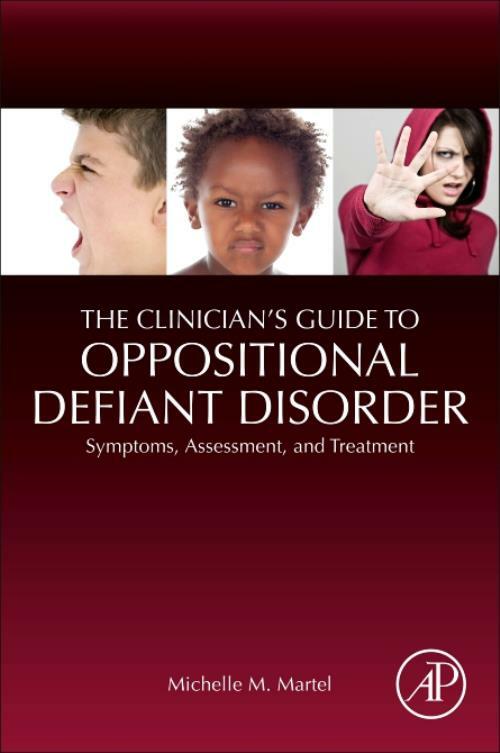 The Clinician's Guide to Oppositional Defiant Disorder: Symptoms, Assessment, and Treatment uniquely focuses on practical strategies for assessing and treating Oppositional Defiant Disorder (ODD) in youth. After briefly reviewing clinical characteristics of ODD and known causal factors, the book reviews brief and easily administered assessment measures of ODD. It further describes efficacious treatment elements across different treatment protocols that can be personalized for young children, older children, and/or adolescents that are based on unique clinical and family characteristics. Assessment and treatment tips for addressing commonly co-occurring problems, such as difficulties with toilet training, lying, problems with peers, and aggression are included. Finally, the book includes practical tools, such as therapeutic handouts, sample rating forms, and psychoeducational materials for parents and clinicians, along with links to online materials for ease of use in applied clinical settings. Dr. Martel's research utilizes a translational, "bench to bedside perspective to examine developmental pathways to disruptive behavior disorders and attention-deficit/hyperactivity disorder, using multiple levels of analysis.